An updated/... version of the Shirelles' first song, "I Met Him on a Sunday" entitled "I Met Him On A Sunday '66"
Tiara Records, along with the Shirelles' contract, was sold to Decca Records in 1959 for $4,000; Greenberg stayed as the manager, securing performances for the group, including one at the Howard Theatre in Washington D.C. After two singles did poorly, including their first release—with Coley as lead vocalist—of "Dedicated to the One I Love", a cover of the "5" Royales song of the same name, Decca returned them to Greenberg and gave up on them, considering them a one-hit act. On Greenberg's new label, Scepter Records, they rereleased "Dedicated to the One I Love" as a single, which peaked at #89; Wayne Wadhams, David Nathan, and Susan Lindsay in Inside the Hits attribute the low rating to poor distribution. In order to better promote the group, Greenberg asked songwriter Luther Dixon, who had previously worked with Perry Como, Nat King Cole, and Pat Boone and co-written the 1959 hit "16 Candles", to write for and produce songs for them. Dixon accepted. Their first single produced with Dixon, "Tonight's the Night", was released in 1960 and peaked at #39. The success of "Tonight's the Night" led to the girls being booked to perform with several major artists, such as Etta James and Little Richard, and facilitated Scepter's move to a larger office. It was followed by "Will You Love Me Tomorrow", written by husband-wife songwriting team Gerry Goffin and Carole King; the song went on to become the first Billboard number-one hit by an African-American girl group, possibly the first by any girl group. "Tonight's the Night" was later used as the title song for the 1961 album Tonight's the Night, which also included "Will You Love Me Tomorrow" and "Dedicated to the One I Love". In 1963 Dixon left Scepter, which presaged a tailing-off of the number of the Shirelles' singles to chart. However, they carried on performing and recording. Dionne Warwick replaced Owens and Coley, who took leave to marry their fiancés, in concerts and the group continued to record material. That year, their song "Foolish Little Girl" reached the pop/R&B Top 10, and they had a cameo in the film It's a Mad, Mad, Mad, Mad World. However, later in 1963 they learned that the trust, holding their royalties, that they were supposed to receive from Scepter on their 21st birthdays, did not exist. In response, they left the label, and later filed a breach of contract suit against the company. Scepter met this with a countersuit for quitting; both suits were withdrawn in 1965, after an agreement was reached. Knowing that Scepter had lied about the trust disappointed the Shirelles, who felt deceived. In a 1981 interview with Bruce Pollock, Owens said that Greenberg had put on a "mother routine", which the girls had "fall[en] for ... completely". Today, the original members tour in different, separate, groups, although the trademark to the Shirelles name was eventually acquired by Lee. Shirley Owens performed on the Doo Wop 51 PBS special in 2000, and continues to tour under the name 'Shirley Alston Reeves and her Shirelles'. Lee currently tours with new members, billed as "The Shirelles". Doris Coley died in Sacramento, California, on February 4, 2000, of breast cancer. Addie "Micki" Harris died on June 10, 1982 of a heart attack. Wadhams, Nathan, and Lindsay describe the style of the Shirelles early work as "tight, almost doo-wop harmony". Owens' vocals, described by rock n' roll writer Alwyn W. Turner as being "wonderfully expressive", were capable of sounding "almost, but not quite" out of tune, which in his opinion led to Owens' sounding innocent in her songs; music critic Albin Zak describes her vocals as being able to intone desire and vulnerability. The other members, singing backup, also convey what Michael Campbell, a professor of music at Western Illinois University, calls a "naive schoolgirl sound". The lyrics sung by the Shirelles tended to be fairly simple and "barely" concealed the subtexts of the songs. The songs were implicitly directed at female listeners, with the male subjects of songs being referred to as "he" instead of "you"; this was a change from previous female-written songs, which tended to be more gender neutral, and helped pave the way for the "confessional" songs of 70s singers like Joni Mitchell and Carole King. Musically, their works with Dixon were influenced by Brazilian baião and featured numerous instances of syncopation. Steve Huey of AllMusic notes that the Shirelles defined "the so-called girl group sound with their soft, sweet harmonies and yearning innocence", with their songs predating Motown in their widespread crossing of racial demographics, both in the US and in Britain. He also notes that they spawned "legions of imitators", and laid a blueprint for future female pop stars to follow. 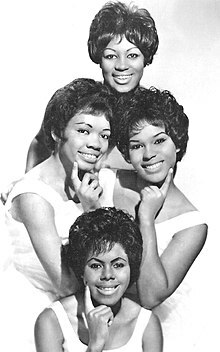 Turner writes that the Shirelles "launched [the girl group] genre", noting that their early work already included "the essence" of the genre; Alwyn Zak expands on the statement, noting that the influx of female groups started after the success of "Will You Love Me Tomorrow". Michael Campbell notes that the Shirelles' success reflected the Civil Rights Movement. He indicates that works such as "Will You Love Me Tomorrow", written by a white couple, produced by an African-American man, with vocals by young African-American women and strings sounding like they were targeted at a white audience, conveyed a "color-blind" message on top of its more obvious sexual one. In 1994, the Shirelles were honored by the Rhythm and Blues Foundation with the Pioneer Award for their contributions to music. The award was accepted by Owens, Lee, and Kenner. As Coley was accepting her award, she said "This is dedicated to the one I love", and sang an impromptu rendition of "Soldier Boy" together with Owens and Lee. Two years later they were inducted into the Rock and Roll Hall of Fame, together with Gladys Knight & the Pips. At the ceremony in the Waldorf-Astoria Hotel in New York, the three surviving members sang a medley of songs after being presented the awards by Merry Clayton, Marianne Faithfull, and Darlene Love. In 2002, they were inducted into the Vocal Group Hall of Fame. Lee and Owens accepted the award. In 2004, Rolling Stone ranked them #76 on their list of the 100 Greatest Artists of All Time. Paul Shaffer, who did the write-up, wrote that the girl-group sound, originated by them, was "everything to [him]"; he also described their impromptu performance of "Soldier Boy" as inspiring. They also included two of the Shirelles' songs, "Will You Love Me Tomorrow" and "Tonight's the Night", on their list of the 500 Greatest Songs of All Time. In the 2010 edition, "Will You Love Me Tomorrow" was ranked 126th, while "Tonight's the Night" was ranked 409th. The Shirelles' 1963 Greatest Hits album was included in Robert Christgau's "Basic Record Library" of 1950s and 1960s recordings, published in Christgau's Record Guide: Rock Albums of the Seventies (1981). In September 2008, the Shirelles' hometown of Passaic honored the group by renaming a section of Paulison Avenue between Passaic and Pennington Avenues (the section where Passaic High School is located) "Shirelles Boulevard". The dedication ceremony was attended by both surviving Shirelles. Owens said that it was different than when they were inducted into the Hall of Fame, as it was their home town. She noted that "the people who loves [sic] us and we loved are right here." The Shirelles' story was shown in Baby It's You! (a musical revue written by Floyd Mutrux and Colin Escott), which follows the story of Greenberg and Scepter Records. The revue played on Broadway for 148 performances, opening at the Broadhurst Theatre on April 27, 2011 and closing on September 4 of the same year.The use of their likenesses without permission led to Lee, as well as the estates of Coley and Harris, to sue Warner Bros.
^ a b c Marcus 1994 – 1995, Legends: The Shirelles. ^ a b c Wadhams, Nathan & Lindsay 2001, p. 59. ^ a b c d Hall of Fame, The Shirelles. ^ a b c d Campbell 2005, p. 179. ^ a b c d e f g h i Huey, The Shirelles. ^ a b c d Shaffer 2005, The Shirelles. ^ a b Callahan, Edwards, 2009: The Scepter/Wand Story. ^ a b c d e Talevski 2006, pp. 334–335. ^ a b Wadhams, Nathan & Lindsay 2001, p. 60. ^ a b c d Zak 2010, p. 224. ^ James & Ritz 1995, p. 76. ^ a b Jet 2000, Dorris Kenner-Jackson. ^ Unterberger, Tonight's the Night. ^ a b c Wadhams, Nathan & Lindsay 2001, p. 62. ^ a b Billboard 1965, Shirelles Drop. ^ Wadhams, Nathan & Lindsay 2001, p. 63. ^ a b Billboard.com, The Shirelles Chart. ^ Tobler 1991, p. 2001. ^ Talevski 2006, p. 410. ^ a b Perpetua 2011, Dionne Warwick. ^ Wadhams, Nathan & Lindsay 2001, p. 61. ^ a b c Turner 2003, p. 426. ^ Elias, How Many Times. ^ Zak 2010, p. 225. ^ Rhythm and Blues Foundation, Pioneer Awards. ^ Jet 1996, Gladys Knight. ^ Rolling Stone 2010, 500 Songs, p. 121. ^ Nutt 2008, Passaic dedicates. ^ Jones 2010, Shirelles Musical. ^ IBDB, Baby It's You!. "500 Greatest Songs of All Time". Rolling Stone. Rolling Stone. 2010. "Baby It's You!". Internet Broadway Database. The Broadway League. Retrieved September 18, 2011. Callahan, Mike; Edwards, David (April 8, 2009). "The Scepter / Wand Story". Both Sides Now Publications. Retrieved September 17, 2011. Collins, Clark (April 26, 2011). "Baby It's You". Entertainment Weekly. Retrieved September 26, 2011. Company, Johnson Publishing (February 28, 2000). "Dorris Kenner-Jackson, 58, Member of The Shirelles". Jet: 16. Elias, Jason. "How Many Times Can We Say Goodbye". AllMusic.com. Retrieved September 18, 2011. Gans, Andrew (April 29, 2011). "56th Annual Drama Desk Nominations Announced; Book of Mormon Scores 12 Nominations". playbill.com. Archived from the original on September 2, 2011. Retrieved September 26, 2011. Company, Johnson Publishing (February 5, 1996). "Gladys Knight & the Pips, The Shirelles Inducted into Rock and Roll Hall of Fame". Jet: 59–60. Huey, Steve. "The Shirelles". AllMusic.com. Retrieved September 18, 2011. Isherwood, Charles (April 27, 2011). "Girl Group Tale Is Reharmonized". New York Times. Retrieved September 26, 2011. Jones, Kenneth (October 20, 2010). "Shirelles Musical Baby It's You! Takes More Steps Toward Broadway". Playbill.com. Playbill. Retrieved September 17, 2011. Jones, Kenneth (January 14, 2011). "Producers of Baby It's You! Eyeing Broadhurst Theatre and Beth Leavel". Playbill.com. Playbill. Retrieved September 18, 2011. Jones, Kenneth (February 4, 2011). "Baby It's You! Box Office Will Open Feb. 5 ". Playbill.com. Playbill. Retrieved September 18, 2011. Jones, Kenneth; Gans, Andrew (May 3, 2011). "2011 Tony Nominations Announced; 'Book of Mormon' Earns 14 Nominations". playbill.com. Archived from the original on September 14, 2011. Retrieved September 26, 2011. Marcus, Greil (1994–1995). "Legends: The Shirelles". Vibe: 124. Nutt, Amy Ellis (September 22, 2008). "Passaic dedicates street to the ones it loves: the Shirelles". The Star-Ledger. NJ.com. Retrieved September 18, 2011. Perpetua, Matthew (April 28, 2011). "Dionne Warwick and the Shirelles Sue 'Baby It's You' Producers". Rollingstone.com. Rolling Stone. Retrieved September 18, 2011. "Pioneer Awards: 1994". Rhythm and Blues Foundation. Retrieved September 17, 2011. Shaffer, Paul (April 21, 2005). "The Immortals: The First Fifty". Rolling Stone Issue 946. Rolling Stone. Archived from the original on February 6, 2007. Nielsen Business Media, Inc (June 12, 1965). "Shirelles Drop Suit Against Scepter-Wand". Billboard: 4. Suskin, Steven (April 27, 2011). "Baby It's You!". Variety Magazine. Retrieved September 26, 2011. "The Shirelles". Rock and Roll Hall of Fame. Retrieved September 18, 2011. "The Shirelles: Albums". Billboard.com. Billboard. Retrieved September 17, 2011. "The Shirelles: Chart History". Billboard.com. Billboard. Retrieved September 17, 2011. Turner, Alwyn W. (2003). "Classic Girl Groups". In Peter Buckley. The Rough Guide to Rock (3rd ed.). London: Rough Guides. pp. 426–428. ISBN 978-1-84353-105-0. Unterberger, Richie. "The Shirelles". Vocal Group Hall of Fame. Archived from the original on October 11, 2011. Retrieved September 17, 2011. Unterberger, Richie. "Tonight's the Night". AllMusic.com. Retrieved September 18, 2011. Zak, Albin (2010). I Don't Sound Like Nobody: Remaking Music in 1950s America. Tracking Pop. Ann Arbor: University of Michigan Press. ISBN 978-0-472-11637-9.